Organic gardening for beginners is just as easy as “chemical” gardening for beginners, only it’s a lot more fun, and much better for your health and for the earth! If you are an experienced gardener and want to transition to organic methods, skip this article and jump straight to the articles on organic fertilizer, organic pest control, composting, and beneficial insects. Organically grown produce is more nutritious than chemically-grown, provided you practice excellent soil care, use lots of homemade compost, and enter into a close relationship with your garden. Organically grown backyard produce is as “local” as you can get, and helps the larger ecosystem. 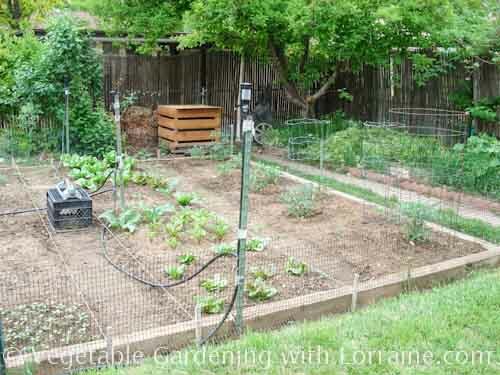 The benefits of organic gardening are many, so read that article if you want more info or references. “Organic” means vegetables grown without the use of chemical fertilizers, pesticides or herbicides and without using GMO seeds. In Asian philosophies, one strives for a balance between “yin” and “yang”, yin being a more receptive, open, observing, nurturing stance, with yang being a more directive, action-oriented, and intention-driven stance. Growing food organically is more yin than most Westerners are used to. Right at first the process is yang, when you're turning a weed patch into a verdant garden. But once you have created an inviting habitat for the soil microorganisms, the plants, the birds, butterflies, and yes, caterpillars and other plant-eating bugs, the organic gardener's stance becomes more “yin”, working with nature instead of trying to control it. There are upwards of 90 articles on this site, but these 5 are most relevant for organic gardening for beginners and will get you started on the right foot, without overwhelm. This article leads you through all the basics including planning, soil prep, planting, fertilizing, composting and pest control. If you were to read only this article and then went out and started digging, you'd be okay. Will help you avoid mistakes. If you read suggestions in more than one place, it is because they are very important (like compost!). The right tools are very important for making vegetable gardening a joy instead of a chore. This article describes which tools are essential and work well, and which are better left on the store shelf. 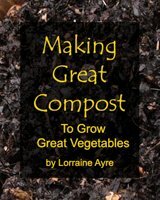 Making compost is an essential part of organic vegetable gardening, and is actually very fun, too. This is a mini site map that has specific growing information for individual vegetable crops. Okay, get out there and get your hands dirty! Bookmark this site, and come back often as questions arise. Look through the Site Map for information on specific crops, techniques, and solutions, and if you don’t find your answer, shoot me an email by using the contact form at the bottom. I promise to get back to you, and if others have the same question, it may become a new article. And lastly, don't forget to have fun! Enjoy the process. As soon as you don't, take a break. If you run into challenges and need answers, snoop around this site for solutions. Blessings on your new adventure.